Its hard to believe that the excellent, but sadly overlooked NYC SKA LIVE compilation is fast approaching its 20th anniversary in 2010. The album was the brainchild of The Toasters leader and Moon Records honcho Rob 'Bucket' Hingley and conceived as the American sequel to 'Dance Craze' which chronicled 2-Tone at its peak. 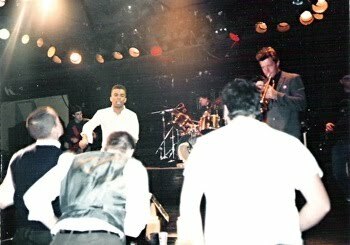 In fact, the show recorded at the Cat Club in New York City on March 26th, 1990 was supposed to be filmed by 'Dance Craze' director Joe Massot. The dawn of 1990 saw the release of the Toasters third full length album 'This Gun For Hire' (and the first without co-front men Sean Dinsmore and Lionel Bernard who had left and signed a record deal as The Unity 2), and the seminal New York Citizen's 'Stranger Things Have Happened' EP. NYC SKA LIVE was to be the icing on the cake capturing all the bands -- The Toasters, The Scofflaws, The NY Citizens, Bigger Thomas, Skinnerbox, Skadanks, and The Steadys -- on the New York ska scene at that moment in time. Five years on from the release of the N.Y. Beat:Hit & Run compilation which captured the sound of mid-80's New York City ska, NYC SKA LIVE documents the evolution of the New York 80's ska scene 2-Tone sound to a post-2-Tone take with more of an emphasis on roots reggae, rocksteady and dancehall reggae. The Toasters and The New York Citizens remain holdovers from the mid-80's, but newer bands including my own, King Django's post-Boilers band Skinnerbox, The Steadys (who may be the best sounding band on the comp), Skadanks and Long Island's Scofflaws all offer their unique takes on American ska at the start of the 1990's. 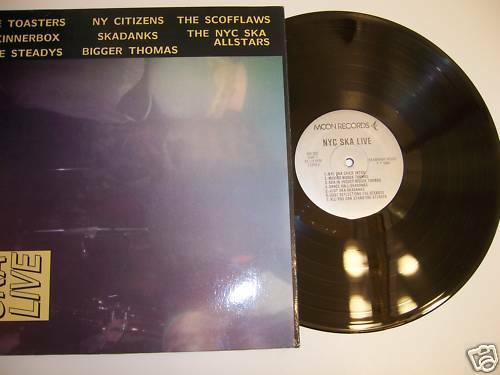 Sadly NYC SKA LIVE remains out-of-print (though I just saw a copy of the record for sale on Ebay for $35)and it is very unlikely it will ever be re-issued. Apparently Megalith Records (the successor to Moon Records) has audio of the whole show, though all the band's who participated would have to give permission for it to be re-released, and that is highly unlikely. I have The Truth About NY Citizens if your interested! also, i remember hearing a rumor that massot bailed out because of the violence at the shows going on at the time and not wanting to deal with the "skinhead violence" and possibly put his equipment in danger. I dont know whether thats true or not though. I found this LP at a record fair for under $10 some years ago and never knew a lot, but forgot all about it - until a month ago when I scanned the paper inner and its statue of liberty from the then-new red white blue NY license plates! I found the LP for $20 at the WFMU Record Fair back in October and had to pick it up... I honestly didn't know if I would ever see a copy again. There's some great tunes from some great bands on this one. Personally, I would love to see Megalith (or any other ska label) rerelease some of those old compilations. Again, the permissions alone would be incredibly difficult, but it would be great to see a CD version of this album, with extensive linear notes, etc. Or even a CD release of "NY Beat: Hit & Run." One can dream. I've a factory pressing of this nice little album, I picked it up around the time of release in the UK, and have never seen an issue of it since. I've not listened to it for some time, but remember it to be a good, solid live compilation. I'll try and remember to scan the label (and of the other two Moon releases I've got on factory pressings) to compliment your scan. Has anyone found this album digitized somewhere?? 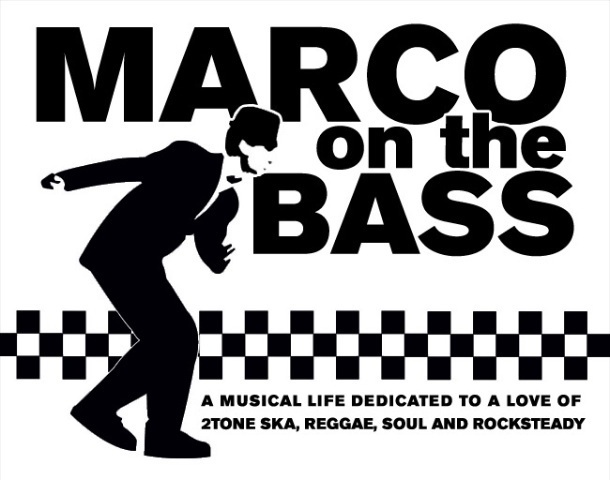 Send me an e-mail to marcoonthebass@gamil.com and I'll send you a copy. Do still have a digital copy of NYC SKA LIVE. I have it on vinyl and remember it being a great show (I'm even on the back cover photo). I appreciate it and thank you.